DALLAS – Since they enjoyed modest victories in the 2012 elections, Democrats and progressives have, with great trepidation, begun to endure the slightest hopes that they might begin to win statewide elections here for the first time since 1996. There are rumors, barely credible, that the Democratic National Committee is considering putting some money into Texas for the 2014 elections. For that reason, people looked very closely at the results of local elections on May 11. The results depend on whom you ask. City Councilwoman Delia Jasso lost her seat in a majority Latino district. She is of the opinion that despite projections that the Latino population will continue to grow rapidly in proportion to the overall population one can’t automatically say that such growth is going to shift the state blue. But Ana Reyes of the tiny Dallas suburb of Farmers Branch, population 20,000, won her city council seat by a margin of two to one. The victory is particularly important since Farmers Branch has, in the past, filed lawsuits to essentially legalize numerous anti-immigrant policies. Reyes’ district is 80 percent Latino, according to the Dallas newspaper. A federal lawsuit has declared that Farmers Branch needs to do some re-districting to overcome lack of representation for its Latino population. Farmers Branch is appealing the decision. A few miles away, in Plano, an African-American candidate was elected. He and another candidate were the first-ever African-American candidates for the office of mayor in the town. 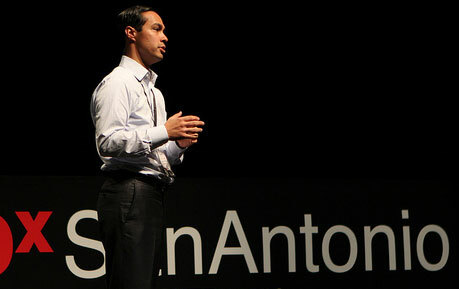 San Antonians might say, for certain, that Texas is “turning blue.” Their mayor, Julian Castro of Democratic National Convention oratory fame, took two thirds of the vote in the first round against six challengers. Castro is one of the few political leaders in the United States who can honestly claim that he passed a tax increase for a progressive cause (pre-kindergarten education). Will the flood of money suffocate democracy and make all speculation about election results meaningless? Well, Dallas City Council District 13 had two candidates battling for who would represent the Preston Hollow neighborhood, where ex-President Bush lives. Between them, they spent over $700,000 and turned out around 10,000 voters. That’s $70 per vote!